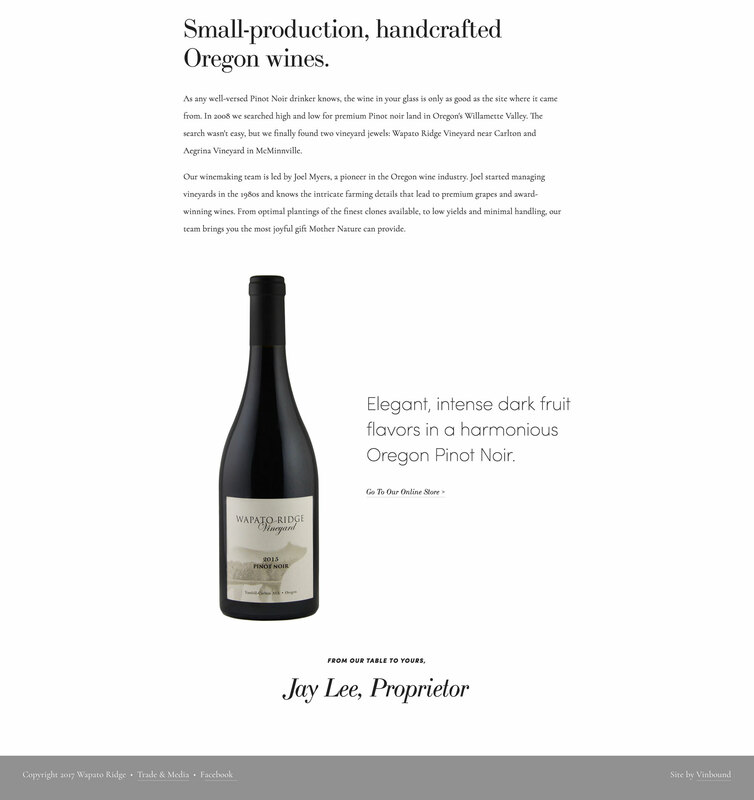 Wapato Ridge is a small Oregon wine brand with two crown-jewel vineyard sites in the Willamette Valley. 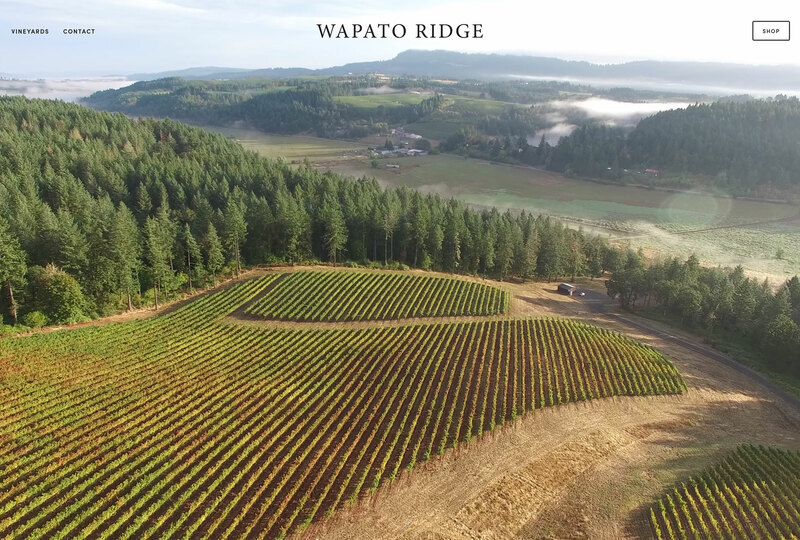 The goal of the Wapato Ridge website was to showcase stunning video and images from the vineyard sites and communicate a sense of place through stunning visuals. Vinbound took all video and photos at the Oregon vineyards. The website is built on Squarespace with ecommerce from VinoShipper. Our Squarespace website package was the perfect fit for Wapato Ridge. 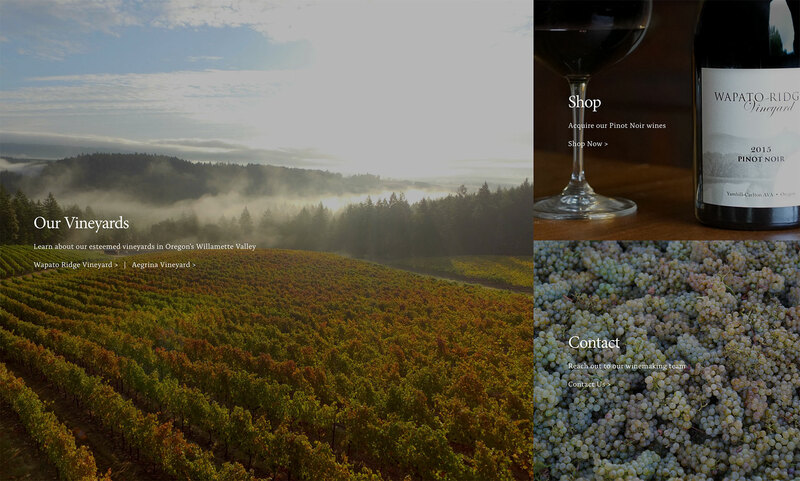 It provided a clean, modern canvas to show off the best winery photos, and simple integration with VinoShipper to purchase the wines.